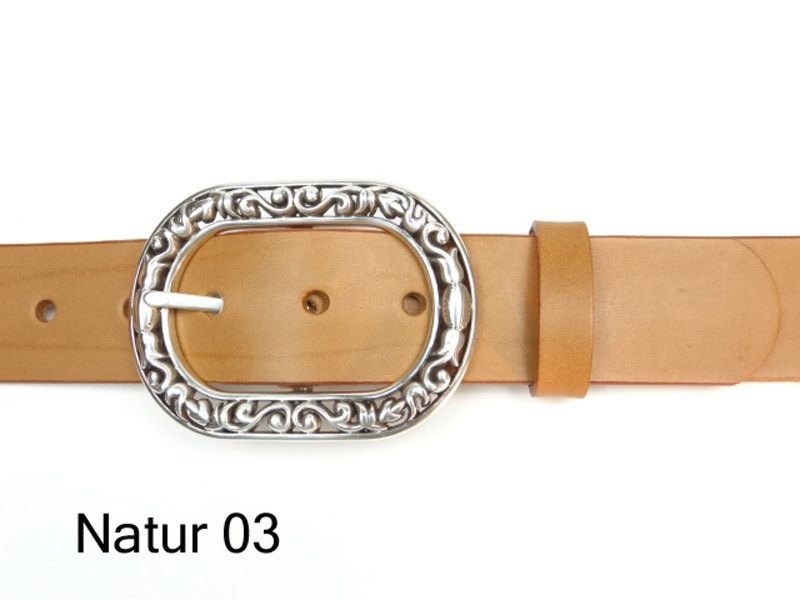 Chic womens leather belt with a large oval buckle. 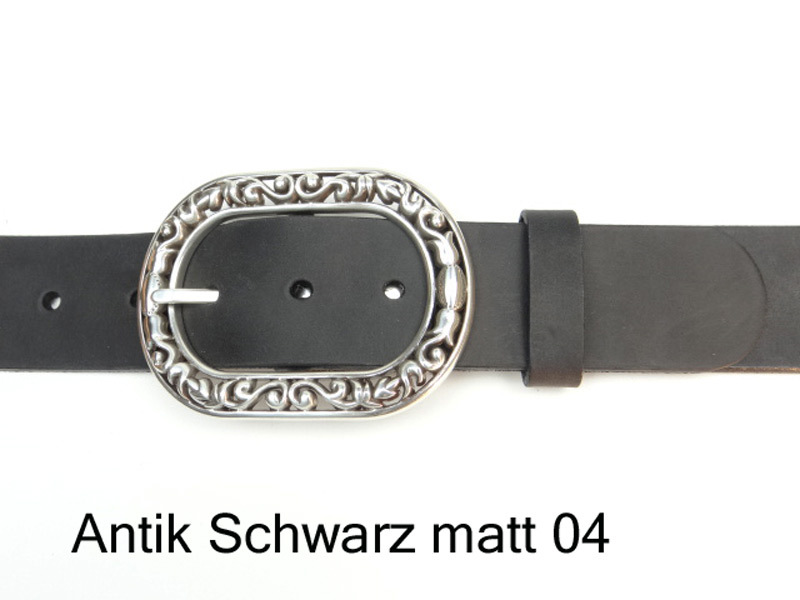 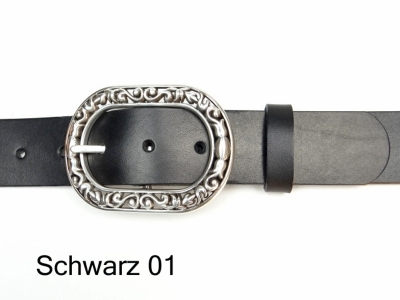 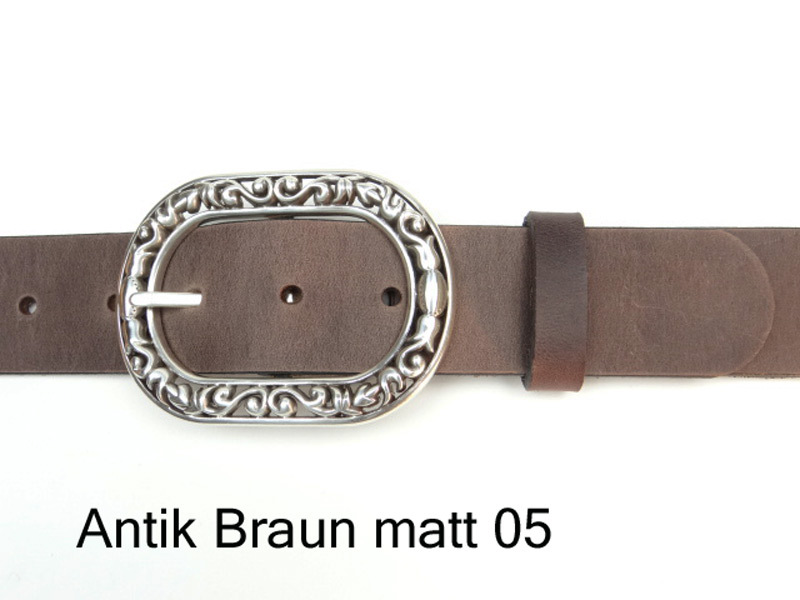 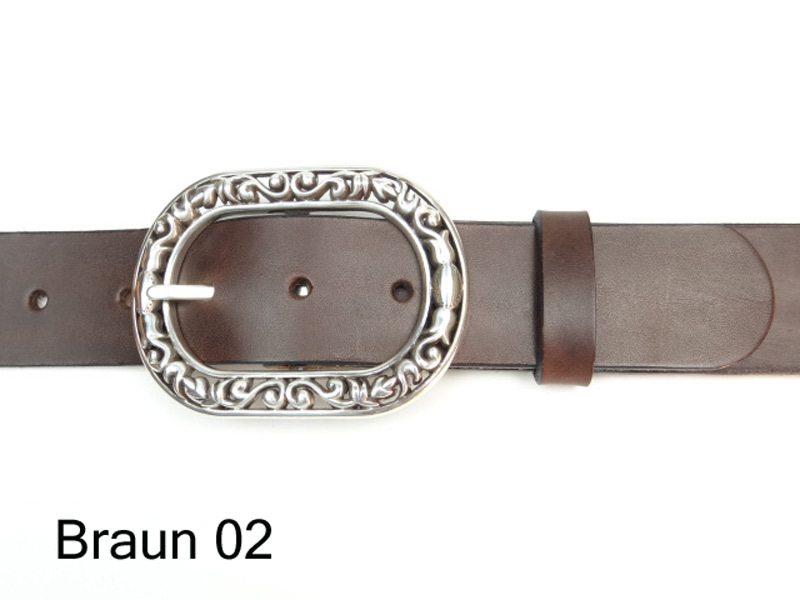 The buckle features a distinguishing open work design. 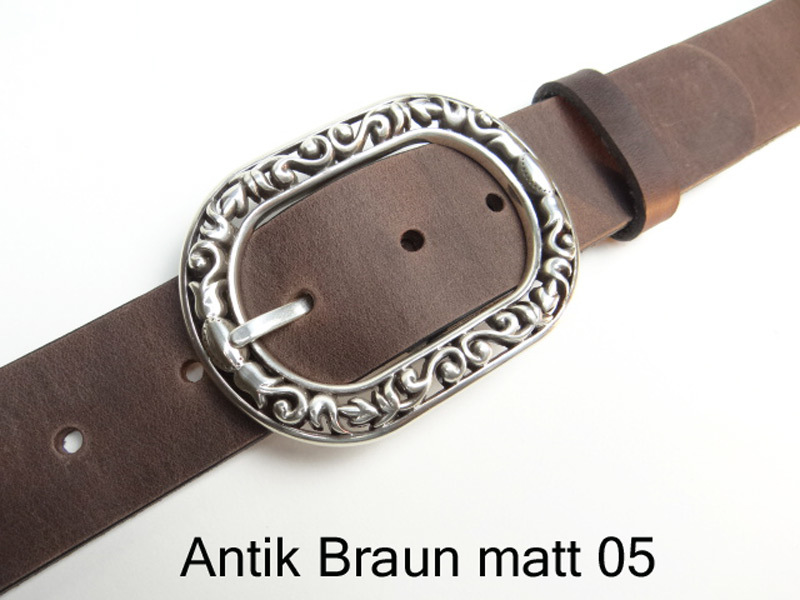 This high quality belt buckle is silver plated and nickel-free.